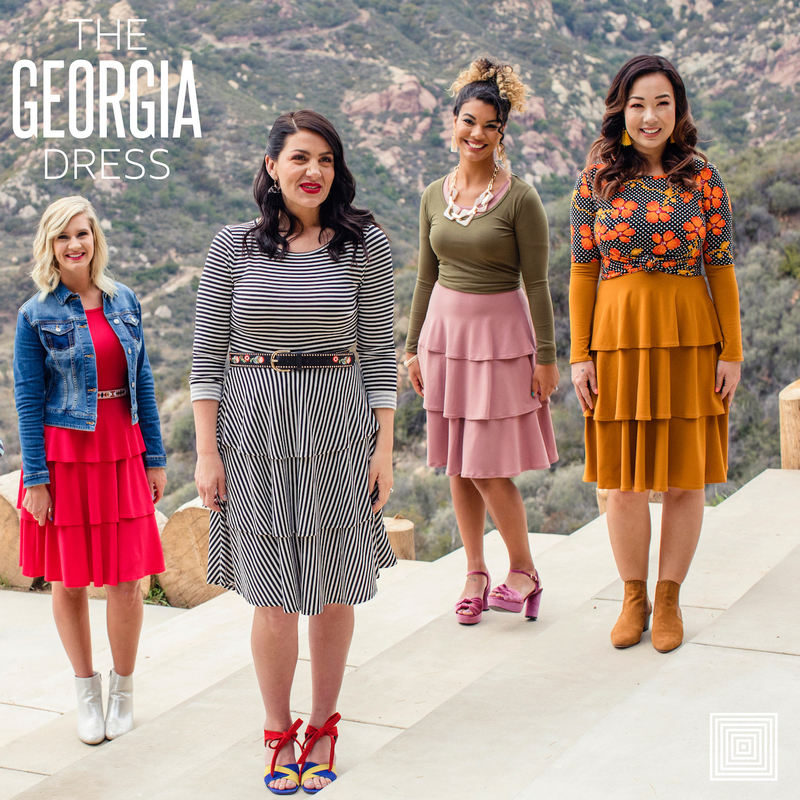 This playful dress boasts beautiful long sleeves and an ultra flattering scoop neck, but it’s crowning feature is its flirty and feminine three-tiered skirt that demands you give it a twirl! Coming in a variety of fabrics and prints, the Georgia dress is an irresistible and playful head-turner! Interested in purchasing this dress? Join our group on Facebook!